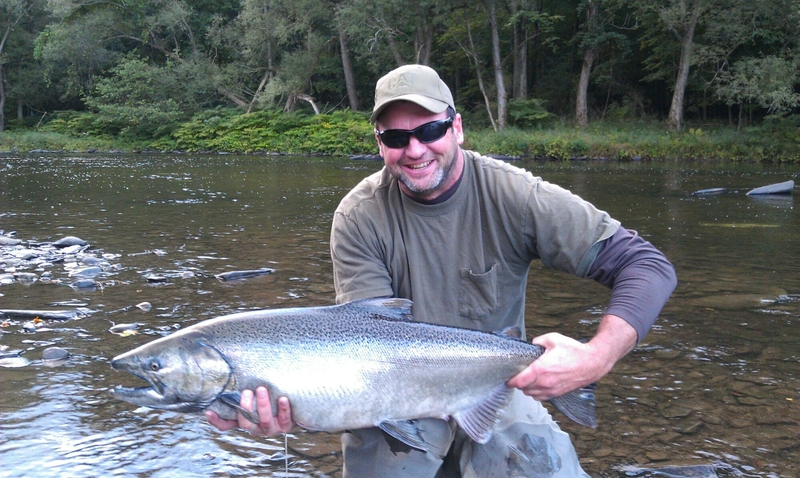 Due to the overwhelming requests for dates for salmon season I will be offering a limited number of afternoon trips. Interested, For more information contact me via FB, phone or email. Salmon season is just around the corner. Hopefully we should see a good run based on statistics and hope mother nature is in our favor this fall. A good source was fishing in the Douglaston Salmon Run Sunday and saw a few salmon moving thru. Could we have another year with a early run? If you haven’t booked your dates now is the time, I have only a few days open but I have a couple of other guides working for me that may have it open.